The records are kept in a computerized database. The records should detail the date of the divorce or annulment and the county that authorized the divorce or annulment. Anyone seeking the record can either write to the office or go to the building itself. The records are accessible to spouses, parents, children, and guardians who are named in the divorce record. Tennessee charges about $15 for the processing fee. To obtain the records through the mail, you’ll need to complete an application, have it notarized, send a copy of an ID with signature issued by the government, and the funds for processing. Certified copies of divorce decrees may be needed if a spouse wants to remarry. They may be necessary for insurance purposes or for estate purposes. Some people research the records for genealogical purposes or for other types of research. Divorce records should include the divorce decree and any accompanying orders. 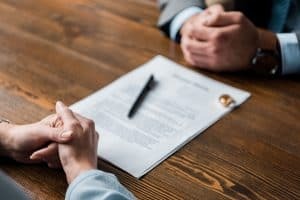 Typically, the divorce records will also include how the marital property is to be equitably divided. The records may also include custody orders, parenting plans, alimony orders, and child support orders. Some records may be available in the county where the couple resided at the time of the divorce. Divorce records can also be obtained through online sources. Obtaining these records usually requires payment of a fee to the service. Disputed aspects of a divorce and disputed divorces were controlled by the county courthouse that had jurisdiction over the divorce. Divorces that involved property disputes were heard by one type of court, called a Chancery Court. Non-disputed divorces were heard by a Circuit Court. Experienced divorce lawyers help clients with all aspects of their divorce. We help address your emotional and practical needs in addition to your financial interests. The Law Offices of Adrian H. Altshuler helps clients cut through the red tape. To schedule a free consultation with a skilled divorce lawyer in Franklin, Columbia or Brentwood, please call 615-412-1121 or complete the contact form.